I'm still trying to get one quilt put together. It's slow going but I don't want to have to rip out any seams. I have also been knitting. I decided I would knit the sleeves to Patric's sweater at one time. The back is done so once these are complete, I only have to knit the front. Hopefully, it won't take me too long. I chose this yarn because it has 25% wool and is machine washable. There were several nice variegated yarns but this is the one I thought would look like nice for a little boy. Two nice projects. 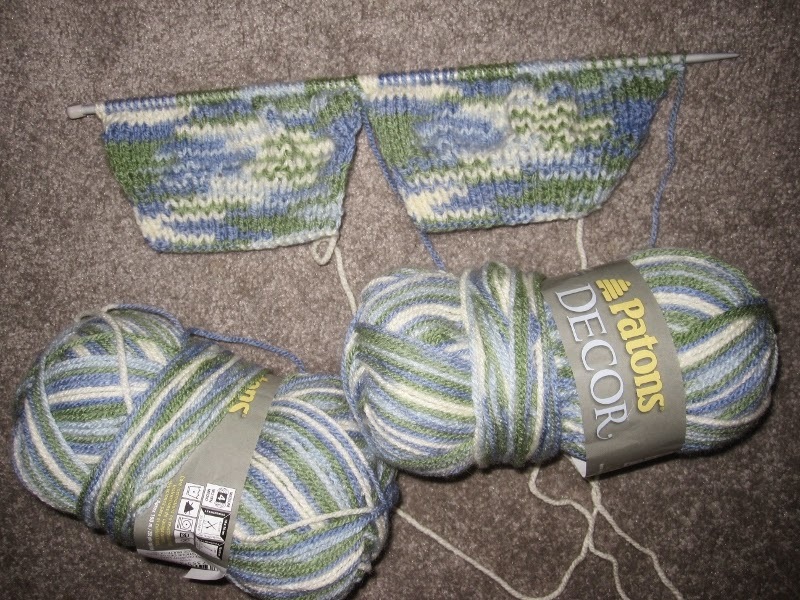 I like the yarn you are using for the little sweater; nice colors and pattern effect. The quilt looks fabulous. The sweater will be adorable. 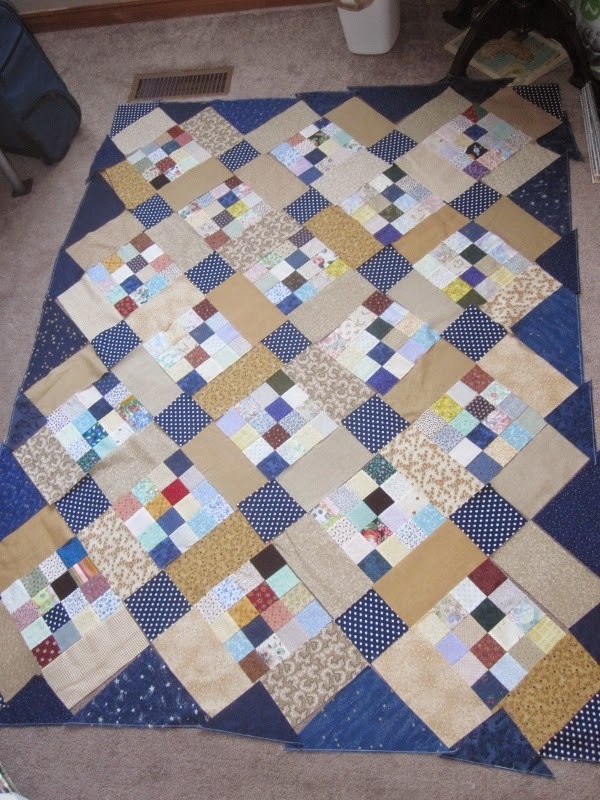 I love this quilt top, its so material spunky in your use of random color changes to the over all design. I love things that are original! !